Behind all of your favorite animated films, there are hundreds of people working to bring these stories to life, but few people, even the most dedicated fans, will ever know anyone beyond the biggest names, like the stars or the director. But today, we have an interview with one of the unsung heroes of animation, Howard Jones, who is a visual effects artist who has worked on several of the biggest entertainment franchises in the UK, including Red Dwarf, Doctor Who, and most relevant to readers of our website, the films of Aardman Animation! 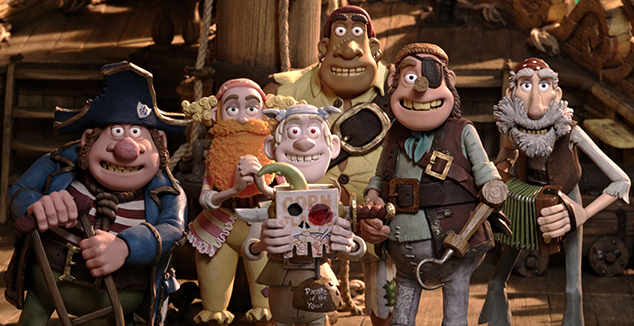 Howard Jones in the cofounder of axisVFX, a visual effects studio in Bristol and London, and has helped bring to life some of the most memorable characters and ideas from Aardman’s recent films. 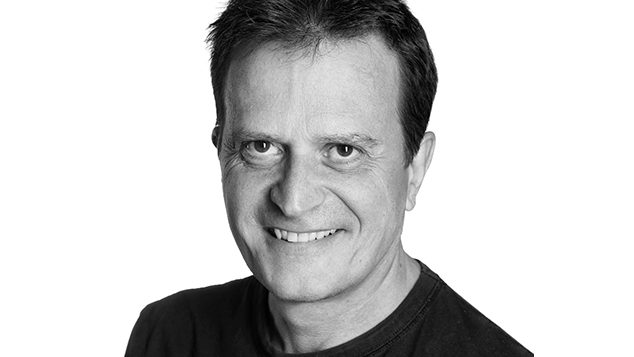 His work has been nominated for and won multiple awards, including most recently a Royal Television Society Award. 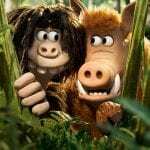 Howard joined me by phone on Tuesday to talk about his work at Aardman, including last year’s Early Man, as well as a bit of what we can expect in this year sequel to 2015’s Shaun the Sheep Movie: Farmageddon. First off, can you tell us a bit about you and what you do, just so our readers can get to know you a bit better? 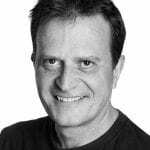 I’m Howard Jones, I’m a cofounder of axisVFX, which is part of the Axis Studios Group,I’ve been working in Post-Production for 27 years now, and I’ve been working in visual effects for 21 years. Most of my time now, apart from running the company is as a visual effects supervisor across the 3D and 2D teams. 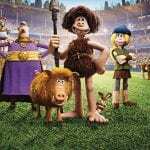 On Early Man I was a visual effects supervisor, working directly with Nick Park to get his ideas on screen. So How did you get into this field? I got into visual effects in ’98, having worked at Avid, I went in as an editor, and I came out training people on their visual effects software, Avid Illusion. I got my first job because my boss at Avid told me what a wonderful career I was gonna have, looking after resellers. So went straight back to my office, phoned up the BBC in Bristol and asked if they had a job. [laughs] And I just happened to know that I’d sold something to them so, yeah. I got a job at the BBC in ’98 down in Bristol, and that’s where I stayed ever since. So how did you get started working with Aardman? Myself and my business partner, Grant, we met working on Pirates, which is Peter Lord’s film, Pirates: Band of Misfits in America. And for the few years after, we kept giving each other work from our respective businesses, and we tried to set up a company. Then Shaun one came out, or was coming out, and I approached Aardman, having been a supervisor on a short they had done, and just said, if we get a company going, could you consider us to do the visual effects for your next film? And we got a company, we got the budget right, and we got the job! 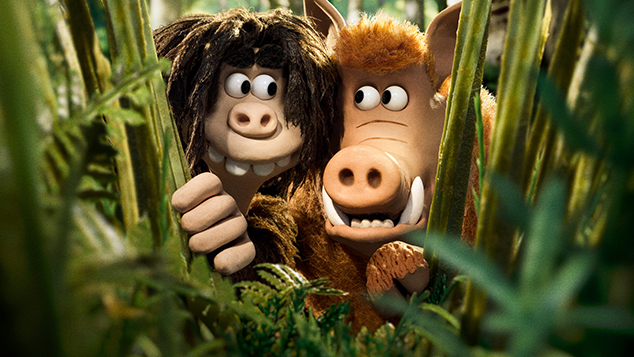 So can you tell us about the development of Early Man? Were you involved in any of the ideas or preproduction, or were you just in charge of bringing the ideas to life? Mostly bringing the ideas to life. In the early days Nick was very much head down with his script writing, and story boarding and story development, and the filming side of things, but as that eased off, then he was able to give more attention to the visual effects side. But it’s mostly, to be honest, getting into his head and realizing what his vision is, and trying to realize that as close as we can. So do you do mostly computer generated special effects, and can you tell us a bit about the process of doing that on top of stop motion, and how you integrate those two things? Yeah, I mean everything we added to the film was computer generated in some form, or was computer manipulation, the simplest stuff we do is to remove rigs, and clean up any puncture wounds on the clay. Sometimes you get knife marks left behind, which are a bit unsightly, so we clean up to a certain extent, the actual faces and everything, but we still keep as much of the fingerprints and all the actual natural attributes that comes with the clay-motion. So that’s the basic stuff, clean up, and then rig removal. 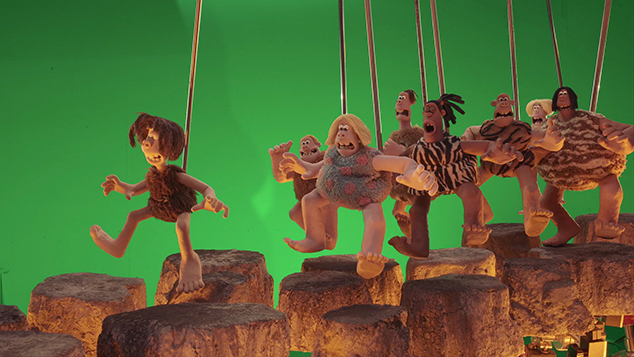 Then on Early Man, and Shaun, and Shaun 2, there’s a certain amount of skies to be added, or extending the set. Now they were all done by Aardman as matte paintings, but our role was to integrate them into the backgrounds of the shots themselves, and also just to make sense for continuity as well. There was also some things, like the geysers, and fire, and at the beginning there was a lot of fire and smoke and other stuff that was added. A lot of the fire was CG, but with the CG fire and everything, and all the torches, our goal was to make it feel as part of the Aardman world. Our initial tests were too oily and look to- I mean, the very initial tests we got back from the effects artists, I said it’s great but it looks like a helicopter on fire. [laughs] I need something a bit more suitable to the size of the torch they’re carrying, and then it still came through too oily, so we simplified the look of it to try to make it feel part of Aardman’s world. And then obviously the major thing that we did was the stadium and the audience. So the stadium had already been designed and was passed on to us, what we did was optimize it, make it renderable. 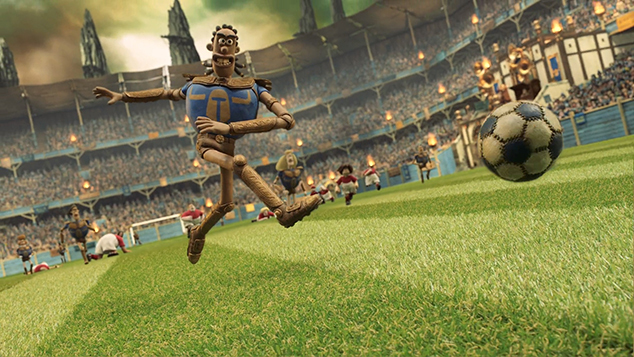 We built all the grass and everything else in the stadium, and we turned it into an asset that we could actually use for the actual film. We then worked with Dave Alex [Riddett], who was the [director of photography] on it, and he helped us light the stadium, so it was lit in a way that he would have done it, if he could light the stadium. Once that was all set up, we developed the crowd system, so we were able to put 20,000 puppets into the seats. The puppets were designed and built by Aardman, and the basic animation types came from Aardman, but we spent quite a few months putting together different animation cycles, and different percentages of different animation cycles, so that we got a natural feel to the audience. So there wasn’t too much visual noise, and if they were cheering it felt like they were all cheering as individuals, rather than a sort of robotic clone crowd. And then once we got that, it was a question of working with Nick, he have us what we call a LAV, which is a Live Action Video, of what he wanted the crowd to do, at any particular point, so he gave us the general mood of the crowd. And then my role was to intemperate that, along with the different cycles we created, to get the right feel for the crowd at the right time in the story. So, what, in all of what you did, was your favorite thing to work on? Hmm. Well, I did the opening shot, so that was my favorite bit. [laughs] But, I think, to be honest, it was getting the crowds to work, because my background originally was an editor, and there’s a lot of thought going into making sure that the crowd cuts as it should do as it should across the shots. And I think, again, from a supervising point of view, what is always satisfying is if you can someone who’s started something that looks good is to turn it from looking good to looking great. 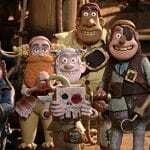 So I was told that Wallace and Gromit have cameos in the movie. Yes they do, yeah. I had just happened to be in the viewing theater when they showed it to Nick. It’s a shot where the queen arrives, and it’s a wide shot, so they’re in that one. But there is also the penguin from The Wrong Trousers, and that’s in a wide shot of the village as we fly over, where the duck appears by the top of the frame. So there’s three cameos in there. So in the wide shot, the queen gets off the mammoth and goes over to Lord Nooth, and [Wallace and Gromit] are in the bottom of the frame, but you’ll have to look hard to see Wallace. With the penguin, you’ll really have to look, but he’s on the right hand side of the screen. [laughs] You’ll have to know where to look, particularly if you’re not on the big screen ‘cause he is very small. So Early Man was nominated for seven Annie Awards, which I know has now passed, and there was a lot of good competition this year. Yeah, there were so many great films last year. It’s kind of disappointing that not everyone could win, but I did find that you won one award, in the British Independent Film Awards, which is not an award that I was familiar with, probably because I’m American, but it looked as though you particularly had won this award. So can you tell us a little but about that, and maybe about the award too, for people like me, who don’t know what that is? 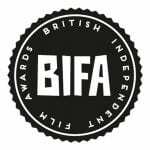 Yeah, the British Independent Film Awards, I think it’s been going 14 plus years, and it’s from the same founders as the Sundance Film Festival. And the set it up in the UK, obviously to support independent film rather than the mainstream studios. I must admit I don’t know much more than the, apart from it’s quite a good night. We just won [another award] as well, a couple of weeks ago, a Royal Television Society Award. Which I find slightly odd because it isn’t anything to do with television, but they had a visual effects and editing category which we got, but that was more of a local one. 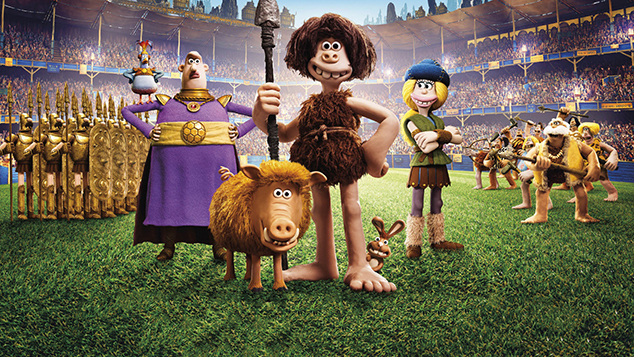 Well, I know that this particular interview is mainly about Early Man, but last week we got our first official look at the sequel to Shaun the Sheep, and it sounds like you’re working on that. Is there anything you can talk about with regards to that film? Not like getting into spoiler territory or anything, but is there anything that you’re allowed to talk about with that movie? I mean obviously everyone now knows that there’s an alien in it, I think the key thing for me, is that we’ve gone a lot more filmic, with the whole look of it. The style is sort of looking at classic sci-fi film from the 80’s and 90’s, so there’s quite a bit of influence from those films, but it’s a much more filmic experience I think, plus a really good, solid story, the usual amount of jokes, I can’t really say much more than that to be honest. 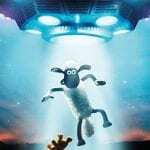 But it’s fun to work on because it’s not just doing Shaun the Sheep one again, they’ve definitely moved on. They’ve made it into a different film. I was excited when I heard what the premise was gonna be. I know that in the shorts they’ve done, they’ve had aliens before, and I know there was some people saying, ‘What? 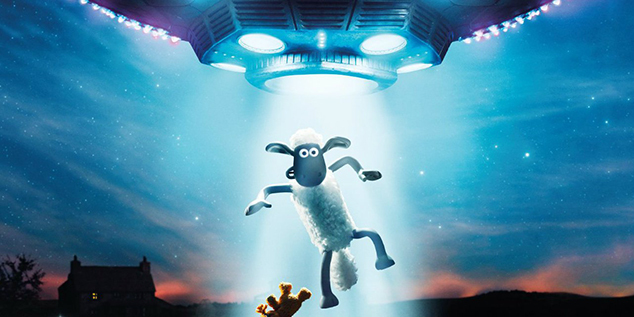 Why is Shaun the Sheep going sci-fi? and I was like, this is not new territory for them, they’ve done this before. They’re just expanding it with a new story, which I that was really cool. Yeah, it’s a good film, I’m really pleased to be working on it. Well, I think that’s all my questions for now, I don’t want to keep you too long. Thank you for doing this interview, this was fun, I really enjoyed talking with you. Yeah, you have a good rest of the day! If you would like to see more of Howard’s work, you can find the axisVFX social media and website below. If you are interested in listening to this interview as a podcast, the audio is now available as a special bonus episode of my weekly animation and movie show, the I Heart Podcast. You can find a links to that at either my Anchor site, or YouTube channel below.